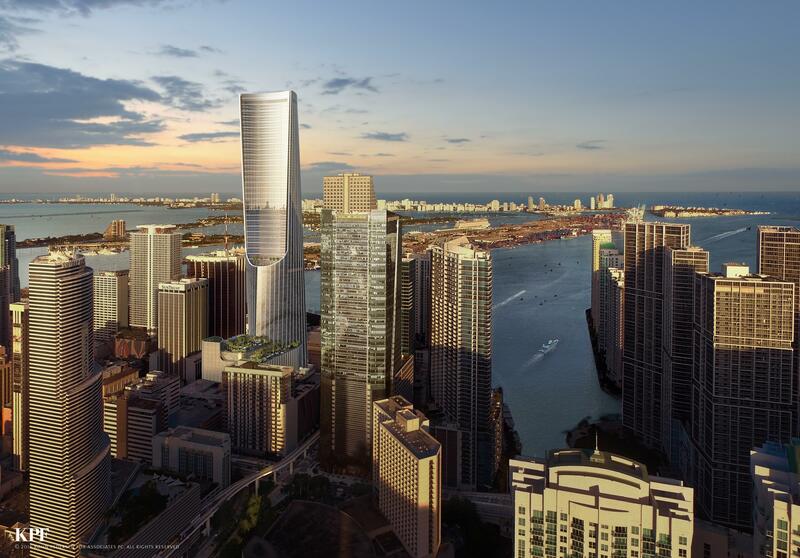 Tibor Hollo will break ground on the 92-story One Bayfront Plaza in January 2019, according to an interview he gave this week with Miami Today. Completion is estimated within 40 months of starting, he said. The building will top off at 1,049 feet, since that is the maximum permitted by the FAA in the area, Hollo said. He expects other developers will follow him and build at that height. 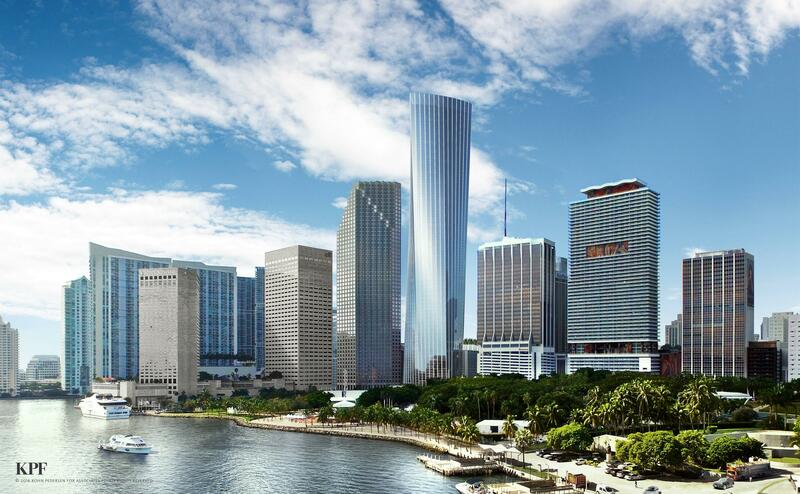 Most of One Bayfront Plaza will be devoted to apartments, with 1,052 units. The project will also include about 500,000 square feet of office space and 200,000 square feet of retail, along with a 200-room hotel. It will be directly connected to a Metromover station by bridge. Residences will start on level 22. A sky recreation deck will have two giant pools, including one for hotel guests. A second amenity deck will be located on level 40. Hollo is 90 years old. 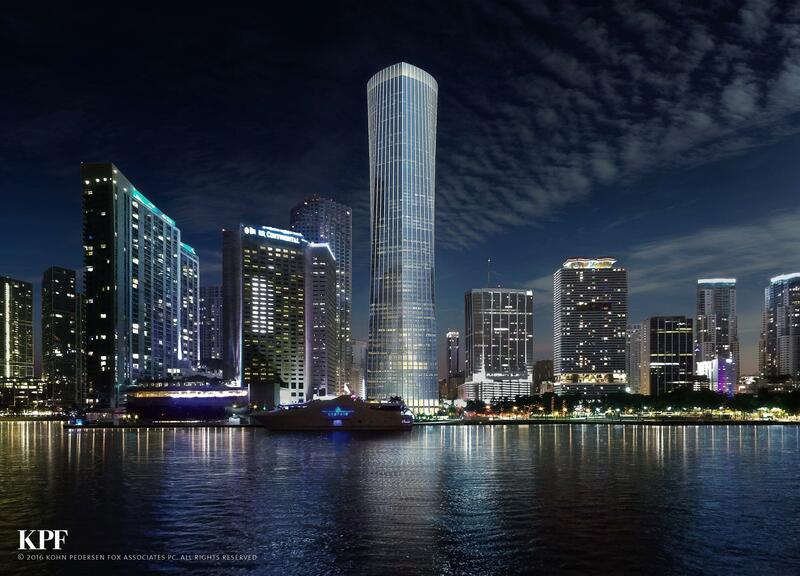 He currently has Panorama Tower under construction in Brickell, which is already the tallest structure in Miami. 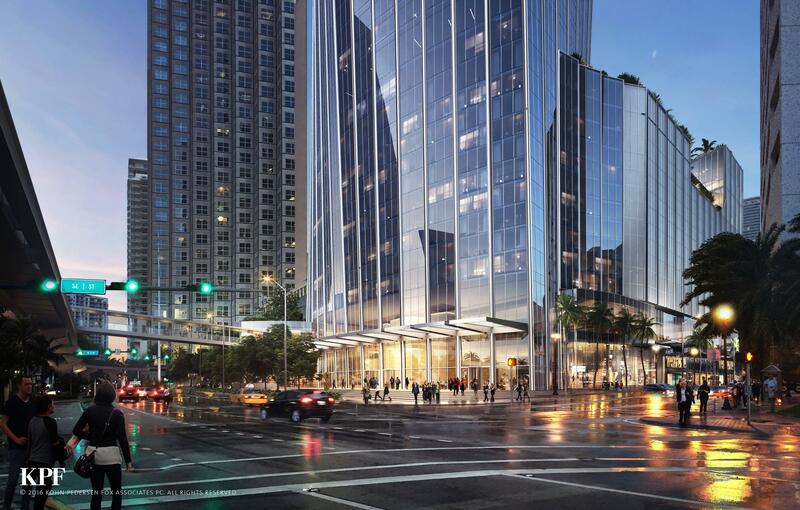 Hollo said that Panorama will top off at 867 feet, surpassing any other building in the area by 100 feet, and the tallest (residential) tower south of New York on the eastern seaboard. I just read the entire article on Miami Today. I have an aunt living at an old folk’s home who is the same age as Mr. Hollo, but the two could not be more different. At 90 he views the future as a 40 year old man would and talks just like one too. 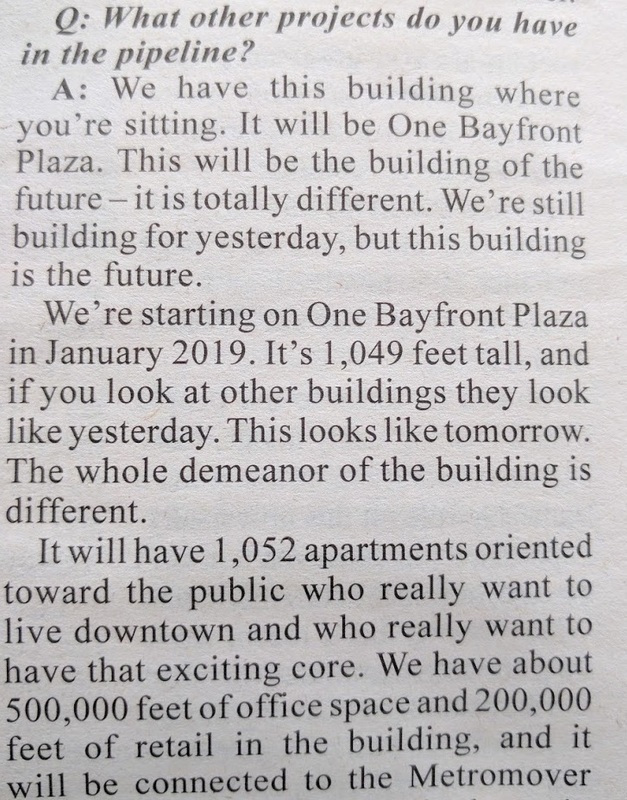 I hope he lives to be a 100 so he can see One Bayfront Plaza completed. So, its year 2022,this beautiful building is finally built and opened(like many,many others in Miami),and our city and county officials still discussing do we need to start building mass transit or not. LMAO. comment of the day. 2019? Lot can happen so not really popping champagne bottles yet. it’s a nice classy tower and a really nice location. The existing building there is a really sweet mid-century building that has had a series of unfortunate and heavy handed renovations, which is sad. But that Vitas building is a vintage gem. Will it still have an observation deck (not common in residential buildings)? Also, a residential building in Miami with no balconies. Interesting. Panorama was supposed to have an observation deck of some kind as well but I haven’t heard anything about it in years. I’d count the PT observation deck as a no go. I believe Panorama will have commercial space on the top floor, bar/restaurant/lounge type space. Look at the John Hancock tower in Chicago. It has an observation deck and restaurant on the top floors. It is a residential (700 condos) and office building. It can happen. nice project nice location. the existing building there is a really sweet mid-century high rise that has had a series of unfortunate and heavy handed renovations that have ruined it. That Vitas building is a vintage gem, but no longer really fits with the adjacent context. Very elegant tower and nice street presence. KPF does great work. Heaven know we don’t need another Arquitectonica cliche building. Please build that beauty ! This tower looks like a king lives there. So royal, badass, and futuristic looking! so the future of Miami is residential living with no balconies???? everyone doesnt want balconies, it really takes away from the design. It’s not just a residential tower its office as well.Since when have you seen an office tower with balconies? Why does every “residential” building in Miami need balconies? 1,052 units?? ….. no thank you!! Yeah right! I doubt this will get built and if it does it won’t be this super tall structure.